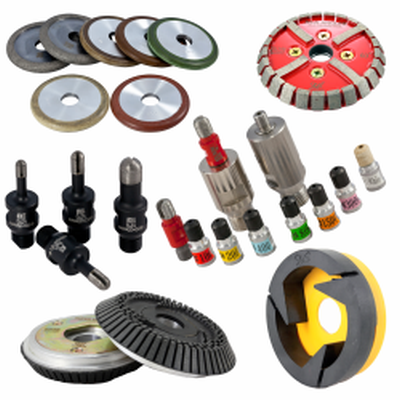 Our company is one of the pioneers in manufacturing the highest quality diamond tools. Only the hardest mineral on Earth is able to perfectly cut, polish and grind stone every time. 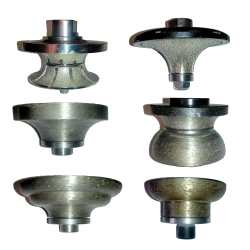 Addition of diamond dust and crystals to the standard tools for stonemasons provides incredible comfort, durability of the tools themselves and unbelievable efficiency of work. When you try using our diamond tools, you would not want to go back to your old tools for stone, we assure you! 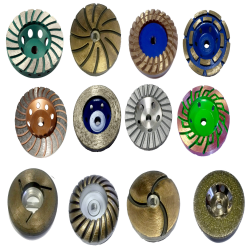 Check the categories below to choose diamond tools you need in your work with stone. Fell free to inquire us about any diamond tool in our catalog - more than 50 years of experience has given us enough knowledge to answer all your questions. 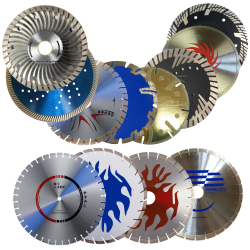 Diamond saws in our offer are the ideal tools for stonemasons all around the world. 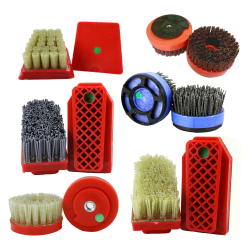 They are well-produced and made of the materials of the best quality, which means they will be useful and precise in any type of work. If you’re searching for expertly designed diamond mills with the highest possible parameters, you’re in the right place! Products in this category will surely fulfil any of your needs and the durability of those tools might surprise even seasoned stonemasons. Precision in production of a tool means precision in using it later in your work. Our shaped diamond mills are not only precise, but are made of the highest quality materials. Polishing a natural stone demands the best tools on the market – that is why we specialise in diamond, the hardest material on earth. 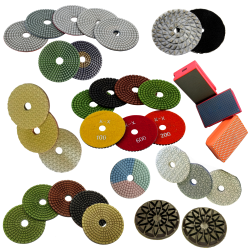 Our diamond pads, just as other products in our offer, are easy to use and extremely durable. Not many materials are as beautiful as carefully and skilfully polished natural stone. But to get the best effects you need both years of experience and the best tools available to you. Fortunately, our company is just the thing you’re looking for. Natural stone is one of the hardest materials to work with and even experienced stonemasons can have problems with it. Diamond tools in our offer are here to help you. 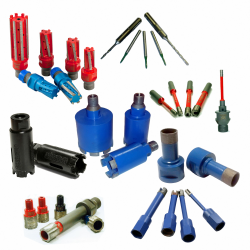 Diamond drills we manufacture will literally do anything and make your job much easier. Drainboards are a standard kitchen equipment nowadays. But when you have a task to create one in a kitchen worktop made of natural stone, you need the best tools made of diamond. You can find them in our offer of course. 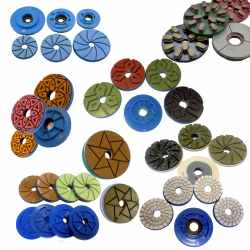 Diamond roll is an essential piece of equipment for any stonemason – it allows you to work with the hardest materials. 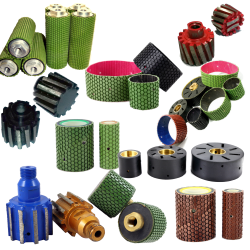 We guarantee that our diamond rolls and other tools are made of the highest quality materials and are as durable as physically possible. Stone is very susceptible to visual modification, but the truly astonishing effect can only be achieved using the best diamond tools on the market. Our brushes that can make any stone look old (so called "Antico Effect") are the best choice to create a unique look quickly and effeciently.